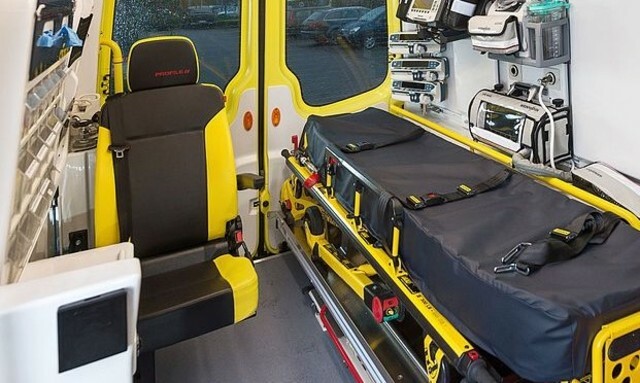 Reducing non-emergency ambulance use has been identified as a possible money-saver. More than one in ten people using the non-emergency patient transport (NEPT) service in north-east London could lose their eligibility as health funding bodies tackle an “unsustainable” £2 million a month overspend. Patients can access NEPT if their medical condition requires support staff, if they lack the mobility to access healthcare, if it would be detrimental to their condition to travel by other means, if they are a parent or guardian of the patient, or in some circumstances if they are their carer. Local commissioning bodies will prioritise NEPT for “patients who need it most”, as well as their carers – though where patients are able to travel safely with the support of trained staff, carers will be advised to find other transport options. NEPT will be removed from patients deemed to “regularly contribute to avoidable delays”, including those who fail to cancel their transport request to hospital with less than 24 hours’ notice on three separate occasions. A report produced by Barts Health NHS Trust and Newham, Tower Hamlets and Waltham Forest clinical commissioning groups (CCGs) said: “The national guidance on eligibility criteria has not been consistently applied. “Other hospitals in London and across the country assess patients’ eligibility thoroughly against a set of national criteria before deciding if they are eligible for transport. “Currently patients needing to get to and from Barts Health hospitals are not assessed against these criteria, so many people are using NHS non-emergency patient transport when there is no clinical need. “The local NHS in north east London is preparing to introduce the same assessment process that other hospitals use. currently use the service do not meet the national eligibility criteria, and slams the current provision as “a service which is not as reliable as the local NHS would like it to be, a service which is not able to prioritise those who need the service most and a service which is costing too much public money”. An independent appeals process for those who are deemed ineligible is also planned alongside the changes in procedure. Barts and the three CCGs have stated that, as a result of the Department of Health’s criteria not being effectively followed or implemented, the number of users has risen by 10 per cent a year in recent years, resulting in a £24 million budget overspend as demand continues to increase. Every month, over 10,000 patients are transported to Newham, The Royal London, Whipps Cross, St Bartholomew’s and Mile End hospitals. The joint report adds that other hospitals in London have shown that a prioritisation approach can reduce delays by 15 per cent. NEPT will seek to reduce the “high number of carers” currently transported. Carers in north-east London currently accompany patients on one in five journeys, with the report stating that “other hospitals” transport half that number. Patients failing to cancel their transport request has resulted in more than 2,000 journeys being aborted in some months, according to the report.